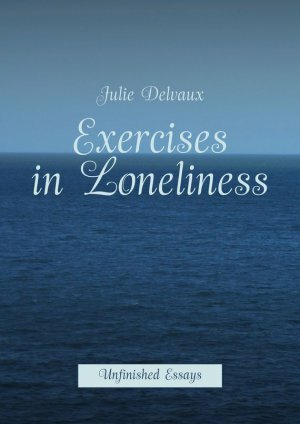 "Exercises in Loneliness. Unfinished Essays"
Exercises in Loneliness is a collection of philosophical essays on a common topic of solitude that started as a series of blog posts. «There is something romantic and legendary about loneliness because every knight searches for the Holy Grail on his own. Even the best fairytales are born out of an extreme loneliness. So the secret is to stop asking to be saved and to start saving others. Before long you will see how your own loneliness subsides – like a tide that runs away with sunrise».